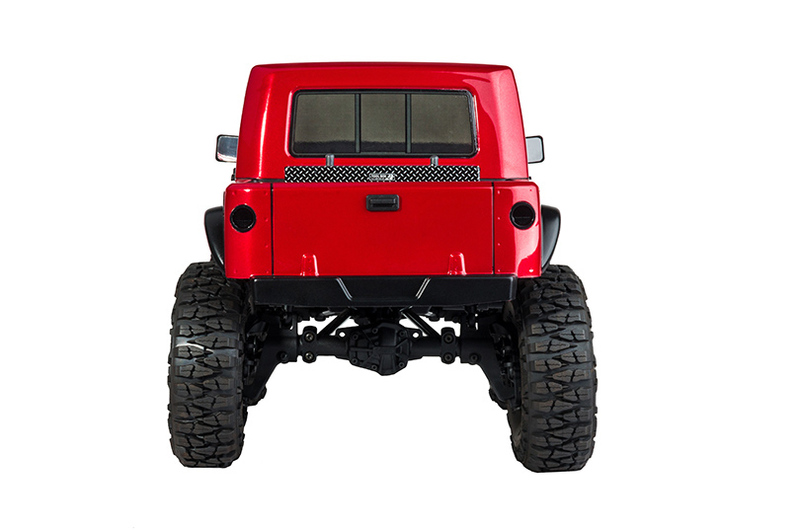 The new MPA portal axle design increases 14.4mm ground clearance and improves the possibility. 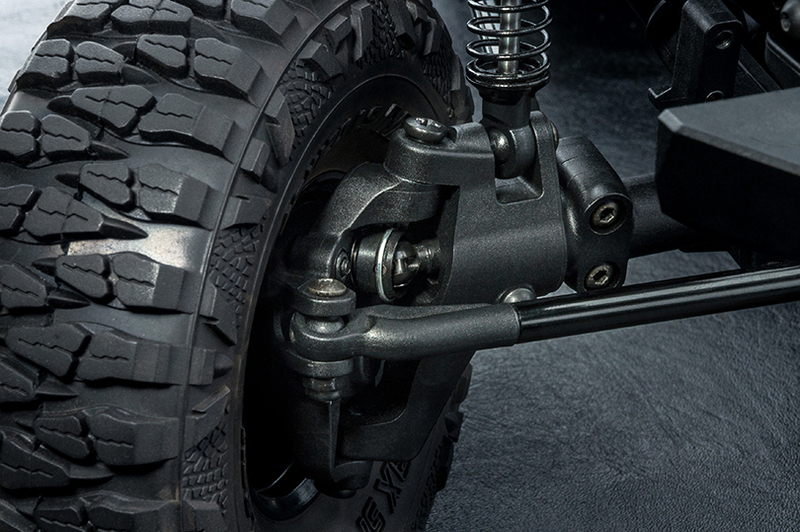 The 4 gear design increases the durability also eliminating the torque twist through the chassis. 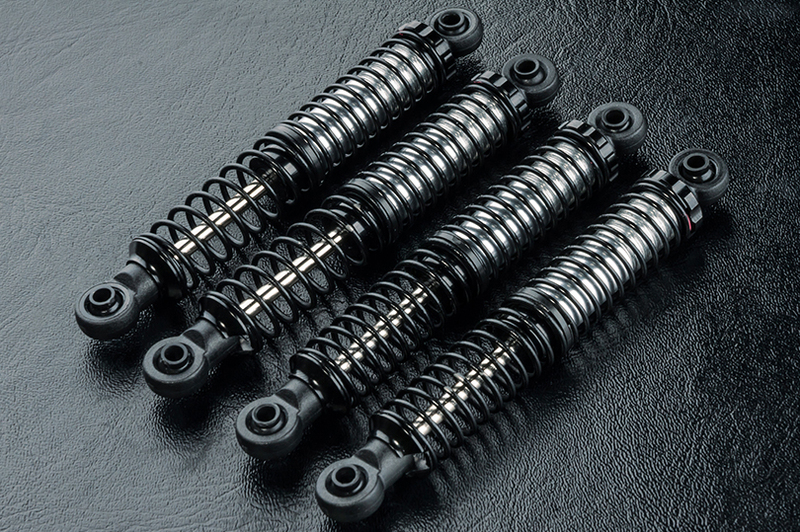 The new stroke-extended aluminum shock absorber flex amount is increased by 18%. When the player faces the sinister terrain, it provides the excellent smooth shock absorption. The threaded aluminum cylinder with the spring retainer and dual-spring design, can quickly adjust the vehicle height, preload and other settings. The planetary gear design provides the efficient transmission and the characteristics of a high reduction ratio for the power output level stable and powerful. 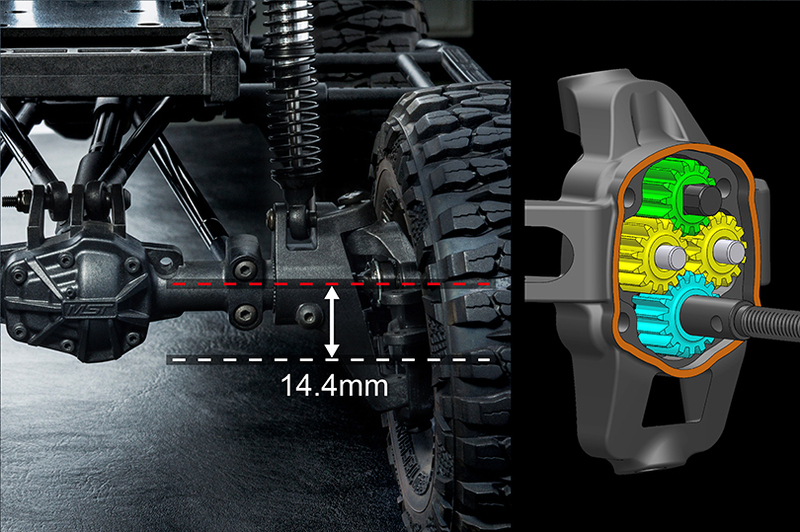 The dual slipper clutch design increases the surface friction also provides a more accurate holding power. 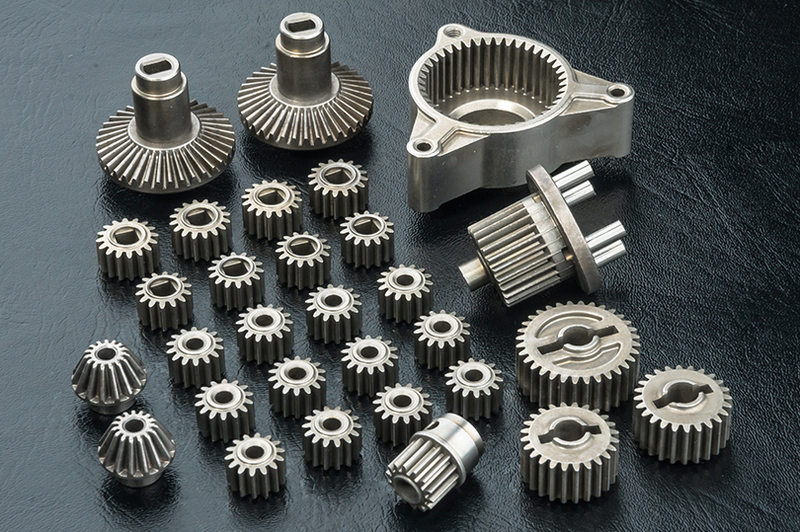 The m0.6 pitch spur gear is capable for the high torque applications. The car is equipped with the high-strength metal gears for good transmission efficiency and durability. 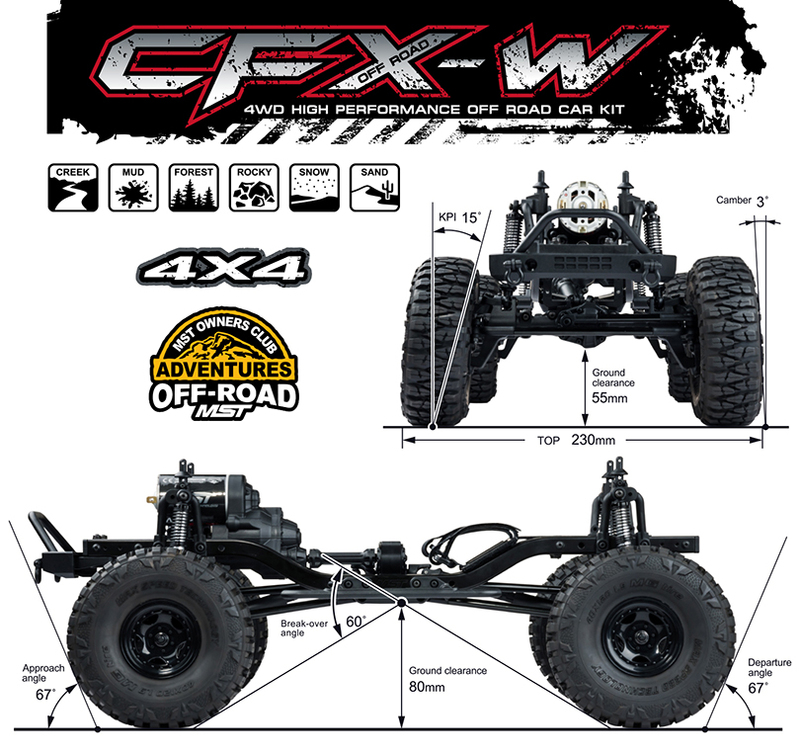 The 1.9” realistic wheel is good in both durability and appearance. 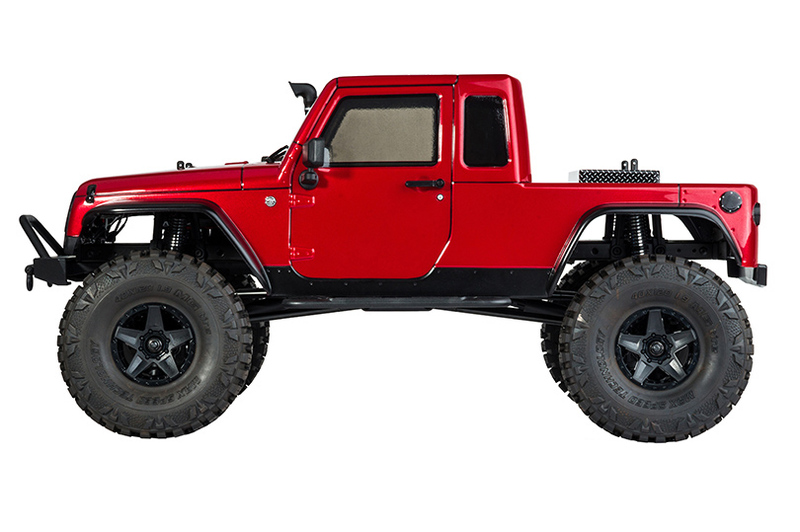 The large size as a true crawler tire by the mix-materials has the excellent off-road performance also keep the on-road driving ability. Large blocks design provides excellent bite when the going gets tough! The aluminum links has good durability and rigidity. 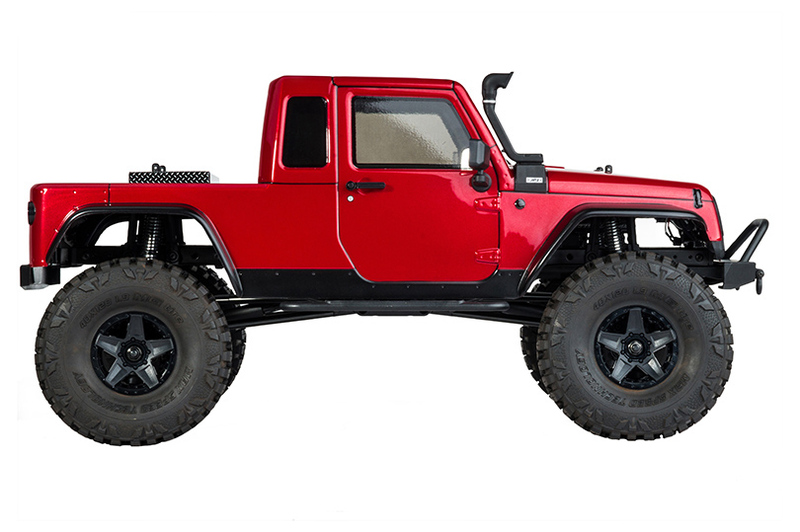 The Four-link suspension system is good for climbing ability. 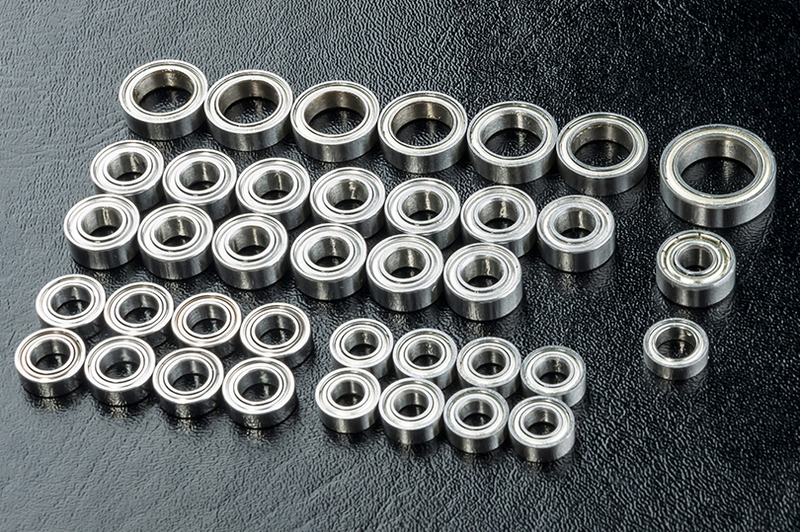 The full ball bearing set can reduce the operating resistance and provide better operating efficiency and the longer operating time. 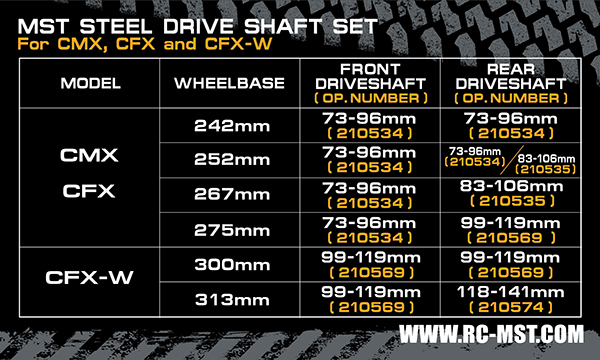 The steel CVD drive shaft is good at smooth transmission and better efficiency. 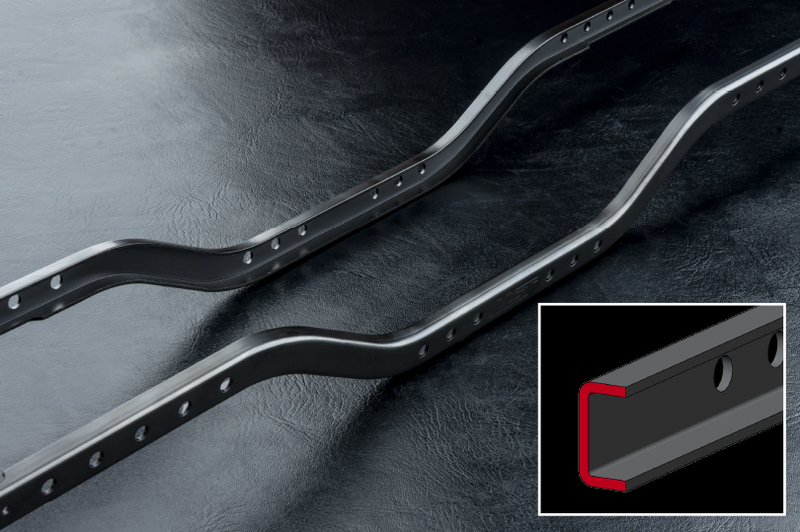 The realistic steel C-channel frame is endurable and real. 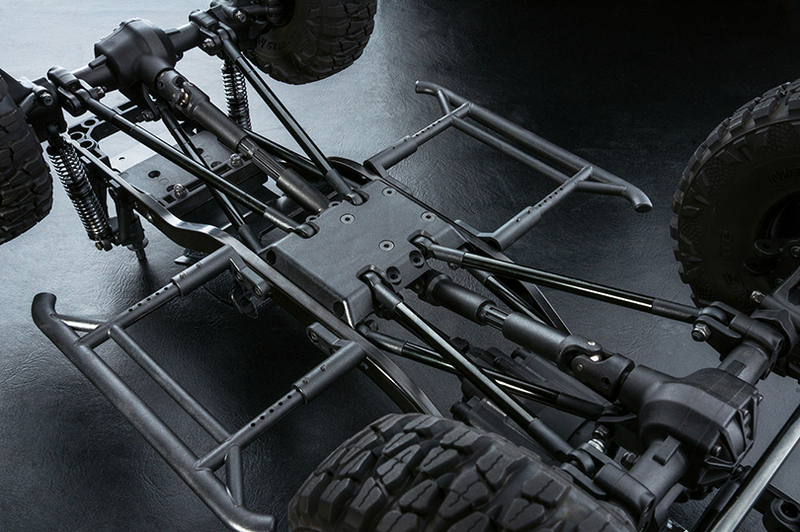 The hex screw links the chassis and crossmember frames for the good torsional stiffness. 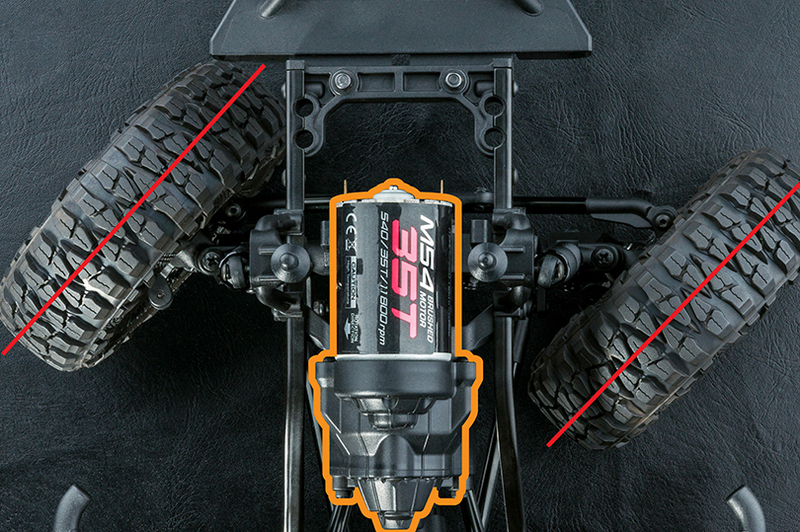 The multiple shock mount positions are adjustable for the best performance by the player’s request. The streamlined design is easy to installation and maintenance. The front motor structure as the real car keeps the space for personal preferring interior settings. 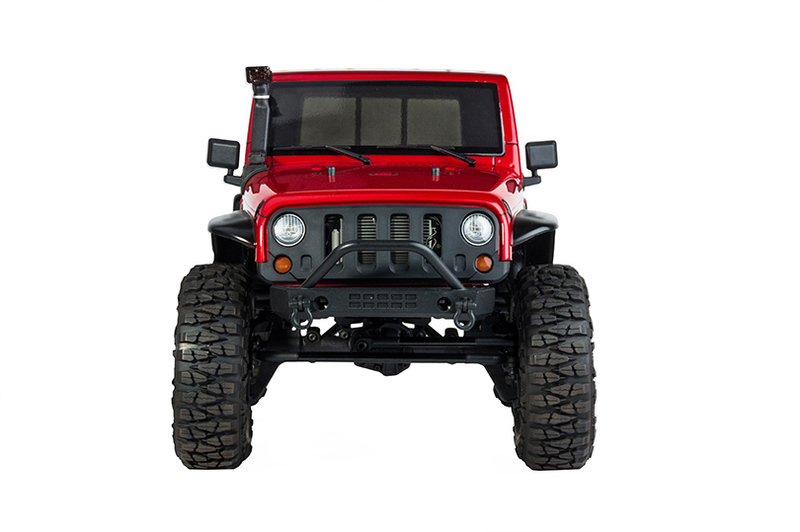 It has the great steering angle and extreme smallest radius of gyration.